Much has been said about the joys and freedoms of being an independent. About why we’re a special breed with a calling higher than our friends attached to motherships. It may be true. But indulge in that too much and you’ll find that we are no different from network agencies with blinkers over their eyes. way to the end of this rainbow, you can never afford to forget the few things that really matter. The word "independent" by itself means we’re free to chart our own path. But it also means that there’s no-one else to rely on apart from ourselves. It’s both liberating and daunting. In GOVT’s short existence, we’ve learned that combining these two emotions can be a powerful thing. When we approach our clients, it compels us to admit that, while we may not know how to do everything, we are happy to figure it out with both brains and brawn. It stops us from overpromising. Ever. But, conversely, it also brings us closer to the heart of how every effective, creative business should be – fearless at its core. It’s a balance of freedom and fear that grounds us and keeps us going. Too much of either is a sure sign that we’re losing our way. As the advertising world goes on about the ‘next big transformation’, it’s easy to convince ourselves that we’re already different enough, with our fancy pantries and hip offices. We’re not. It’s as simple as that. We may be a breath of fresh air to clients who have grown tired of the networks’ song and dance, but most still want real, intellectual change. This should drive us to push our people to not just do better advertising, but to be better, all-rounder, up-to-date creative specialists. The modern advertising employee should be great at one thing and very, very good at many others – from analytics and data to really understanding how social media works (instead of just being on it). There must be a culture within the agency to educate and re-educate. Trouble yourself with the troublesome things. And we all know that the most troublesome thing of all is always the people. Independents can’t use their business status as a way to treat their people’s careers carelessly. You may be a band of brothers and sisters rebelling against ‘the empire’, but that’s no excuse to be irresponsibly easygoing about career targets, reviews and growth. At GOVT, we take this seriously. Yes, it’s all about the work but it’s the people who do the work. So we take the time and trouble. We figure that this way, even if we never find the end of that rainbow, we’d be left with great work that we all had a great time doing. Will you go to Cannes this year? Unfortunately, no, but we’re hoping a team or two will end up there via the Singapore Young Lions competition. Our youngest team made it last year —one of the proudest moments of my career. Best: it makes the best ideas even more effective. Worst: people think it will replace the best ideas. What will you change in 2018? The impression that we’re just a "local" agency. We love our roots but dislike that word. "The unusual football field" from Thailand. It’s imaginative, does real good and it’s ballsy (pardon the pun), all in one. 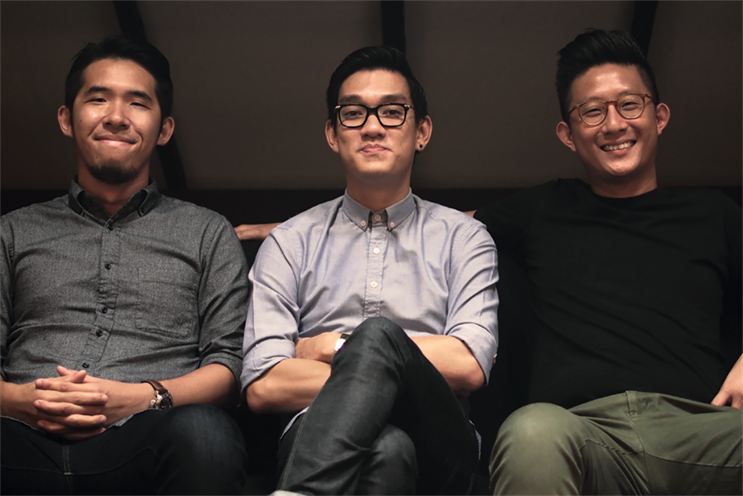 Principals: Leon Lai, co-founder and managing director; Aaron Koh, co-founder, executive creative director; Tim Chan, co-founder, executive creative director; Jude Foo, business director. World's Leading Independent Agencies: Is your agency a tiger or a wolf?